An average person’s day will not begin without a fulfilling breakfast. Jam or jelly on bread is a quintessential food on the plate of most Indians in the morning. Jams and jellies are available in several flavors, and they will never go out of demand. So, homemade jam and jelly manufacture is a lucrative business, both on small as well as large scale. If you have some unique jam or jelly recipes, handed down by your grandma, then it is time to put them to test. With basic tools, and a small investment, you can make your separate identity in the jam and jelly industry. How to Make Jam and Jelly? Before delving into the how one can make jams and jellies at home, with simple machines, you must realize that jams and jellies may belong to the same food family, but they differ from one another. To make jams, you need to put all the ingredients (fruits, sugar, and pectin) into a container, and boil it till everything mixes well, and the fruits change into a soft pulp. Jams can be spread on bread easily. On the other hand, you need to mix sugar or sugar syrup, fruit juice and pectin acid, and process the mixture to create something that spreads easily on any surface. Jams form blobs while jellies will be able to hold their particular shape. It is better to go for a recipe that is easy, and will allow you to highlight your cooking as well as jam or jelly manufacturing skills. In case the recipe is not good, then you will not be able to create tasty product. Attention must be paid to proper measurement of all ingredients. It will allow you to concoct the perfect jam and jelly that smells, looks, and tastes delicious. You can either settle with a recipe from the internet or use your grandma’s tips. Once you zeroed in on the recipe, it is time to select the flavor, you will be concentration on. It is here that the selection of fruits comes to the forefront. The fresher your raw ingredients are the better will be the taste of the jam and jelly. The fruits you pick will depend on the flavor you desire to create. Purchase farm fresh strawberries, apple, guava, grapes, and assorted berries to create flavors accordingly. As soon as you get your supplies, you need to wash the fruits in cold running water. It is wise not to immerse these fruits in water. The pulp may become soggy, as most fruits have high sugar content, and draw water in. Then it is time to peel, cut, dice or extract the pulp and juice from the fruits. Once these are in the pan, add required amounts of sugar. The measurement is crucial as any excess sugar will ruin the taste of the product. When cooking the mixture, you need to offer enough space, so that the water content may evaporate, when heat is applied. It will leave you with soft tasty jelly. Thus, cooking the mixture in big saucepans, with tall sides and flat bottom is a must. Maintaining measurements is a must if you want the perfect taste and texture. So, it is better not to experiment too much with the original recipe. Jam and jelly preparations depend on proper boiling process. It will give rise to foam. To reduce this, you may add a dollop of margarine or butter, only after you remove the utensil from fire. Once the jam or jelly cools, you must use a proper spoon to scoop out the thick mixture, and fill it in a bottle or jar. Adding preservatives during cooking and packing will increase the longevity of the product. Once jars are filled and sealed, you must leave them in a cool place to rest for at least a day. Once the jam and jelly has set in the bottles and jars, it is time to pack them in cardboard boxes, and fill in the gaps with straw or paper fillings, to prevent the bottles from knocking against each other. Then it is time to send out the cartons to the shops. The list of machines and materials needed to produce a batch of jam or jelly will depend on the size of your business, and the flavors you are working on. 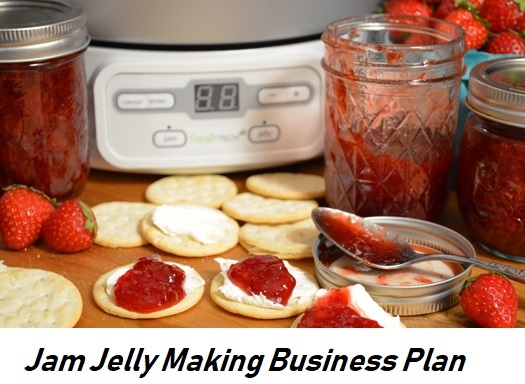 Here, you will get a rough idea about gears necessary to start a small-scale, home-based jam and jelly business. The cost of the ingredients does not remain same. The cost of fruits will go up and come down as per their supply and season. For instance, the cost of each kilogram of apple will be less during winter than it is in summers. Guava is a summer fruit. So, lack of its presence during winters can produce an immediate hike. Purchasing machines and tools is a one-time-investment. If space is not an issue, then you can set up a small scale jam and jelly factory with around Rs. 30,000 to Rs. 40,000. In case you do not have adequate cash at hand, then you can approach the economic institutes to get a credit. You will need huge commercial grade machines to establish a large scale jam and jelly factory. These factories employ hundreds of workers and produce thousands of bottles of jams and jellies each day. These are state of the art machine, and cost millions. But most people do not have the means to start such a huge business. So, it is better to start small, as it requires less capital and smaller equipment. Pulper, mixer, slicer, juice extractor, and grinder are some of the quintessential machines you will need to establish your jam and jelly business initially. As you aim to produce a certain number of bottles, you need not purchase high-end modern machines. You can do well with smaller gears. These are available in any online store, or your local market. These are less expensive, and will offer satisfactory results. Registration of business – The first thing that one should do before starting any task on the actual jam and jelly factory is the registration of the business. It is done in the respective state trade registration office. Registration of the business means cataloguing logo and names of the shop as well. Nature of the company – The company ownership can vary from one agency to another. Some are single ownership associations, while others are private limited companies or partnership agencies. The nature of registration will depend on the ownership type. 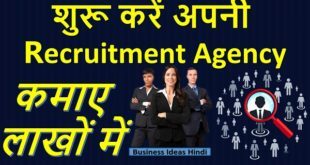 PAN in company’s name – Generating a PAN number in the name of the business is a must. If the owner does not have this permit, then he/she will not be allowed to operate the business. Bank Account in company’s name – The jam and jelly manufacturer must maintain a separate bank account, to keep tab on the inflow and outflow of cash. The account details will be necessary while filing the tax papers. Food License – An organization that deals in food stuff will not get legal seal unless it gets the approval of Food Safety and Standards Authority of India or a FSSAI. The department runs tests on the product, and hygiene of the production area. Only if the inspection officers are satisfied with the test results, they will issue the permission to continue production. No Objection Certificate – Whether the owner is running the business from the basement or has rented a shop in any area, he/she must get a NOC or No Objection Certificate from the people living in that locality. VAT Registration Number – The payment of Value Added Tax or the VAT is also a must. In case the company owners do not pay the VAT, then they will not be allowed to continue their operations. VAT registration will give assign a separate VAT account number. Service Tax Account Number – Paying the Service Tax is also important for running a commercial venture. For this, one has to submit necessary forms in the Service Tax registration department in each state. TAN Registration – Tax Collection and Deduction registration is another essential legality that the jam and jelly business owner must tackle. This registration will provide the owner with an account number. All taxes will be deposited in this account. ID proof of owners – The owners must submit their identification documents, along with other necessary papers, during the registration of the company. Address proof of shop – Any jam and jelly manufacturing shop, no matter how small it is, must have an official location. Proper address proof must be submitted during official registration of the venture. Professional Tax Registration – Any venture that generates revenue will be seen as a commercial business. Thus, the owners of the jam and jelly factory will have to pay professional tax as well. For this, he/she needs the Professional Tax account by registering for it. Importer Exporter Registration Code – In case one desires to make exotic jams and jellies, the ingredients must be imported from other nations. If the owner wants to send sell the product in other countries, then he/she needs proper legal papers as well. For any type of import or export, the owner needs Importer Exporter Registration Number. Without this permit, the above mentioned activities cannot be carries out. How to sell the product? When your product is ready, it is time to hit the market. You must have realistic marketing goals. If you expect to find your product in reputed shopping malls instantaneously, then you are wrong. You can dream about creating a state level or national level presence only if you succeed in wowing the local people. Local stores and markets must be your primary target. As the store owners to push the product, so that people get a taste of your jam and jelly. If the item is good, then they will come back for it. People always love to get something extra. You can cash in on this opportunity by distributing free samples to customers. If they like the new product, they will not shy away from making a purchase next time. It is better to start slow and steady. During the initial days, you must concentrate only on the local area. If the local people like the jam and jelly, then chances are high that others will like it as well. Launching the product on a state level initially will be risky as well as too expensive. Tapping the local markets, and shops it ideal to test the public response. Identifying the target clients in the area is also necessary to create a perfect platform for selling the jam or jelly. Taking well-calculated and strategic steps to expand the market area will minimize risky elements. Once you have milked the local stores, farms, and markets, you will be able to get an idea of the response from the people. If it is good, then you can target a bigger and extended market for the product. If you manage to get a state level success, then you can try to capture the national arena, and then look towards the international food sector. Apart from the stores, jams and jellies are used in cafes and restaurants. Push trade method – Once you have identified the target client base and market, it is time to focus on the promotional tactics. Urging the store and farm owners to push sell the product is good only if they keep it subtle. It can backfire if they try harsh means. Door to door sell – Word of mouth is another way to spread the news about your product. Door-to-door sample and store sample testing will allow clients to taste what you are selling. Offer them free samples first. If your product has the potential, then they will purchase a bottle. Work on various flavors – If you want to keep your clients coming back for your jam and jelly, then you need to offer them something unique. Working on new flavors will keep the clients hooked and booked. Proper pricing of the product – Another important promotional aspect is proper pricing of jams and jellies. Adequate market research will allow you to land on a correct price that will give clients will something else to rejoice about. Special discounts during festive season – It is not wise to offer discounts and special gifts initially. It might give clients a wrong impression. Once you have a faithful customer base, you can give a boost to promotion as well as to retail with discounts. Using local media – Sending the word is a must for promotion. Clients will not come asking for your product. Making use of local media, like newspapers, magazines and local television and radio channels will come in handy for promotion. Using online marketing tools – Online marketing tools will also come in handy to promote the jams and jellies. Social networking sites can also be used to send a word out. It is best to opt for clean and food-grade glass bottles and jars to pack and store the jams and jellies. These have fruit acids, and storing them in metal jars will enhance the chances of fruit acids, reacting them with metal containers. Thus, glass is the perfect option. One can purchase glass containers from the market, or sign a contract with such container manufacturing agencies. If the packaging and seal is not in order, then the jam will be ruined. Apart from the regular purchase of fruits, sugar, pectin and other things, you will have to keep aside some funds to pay for gas or oil. You need to purchase fuel to cook the mixture. Then there is the added expense of electricity. If you do not have space for the setup, then you need to rent an area as well. Last but not the least, there is the need for acquiring packaging materials. So, overall, you are looking towards an initial expenditure of 1 lack to 1.5 lacks. The cost will vary from one city to another, due to financial structure. Keeping in mind the demand for jams and jellies, you will find a ready market, if your product has the potential to meet the expectations of the customers. Apart from this, distribution and marketing will also play a vital role in generating profit. If you succeed in creating a faithful string of client, then you can get away with as much as Rs. 50,000 to Rs. 70,000 during the initial days. Once you get the grip on the business, then the sky is your limit. Proper acquisition of quality ingredients – It is better to talk to local farmers to acquire fresh ingredients, which will go in jams and jellies. Your jam company will not take off if you fail to get the fruits. Work with several fruits and flavors so that you can get seasons fruits easily. Faulty preservation techniques – A wrong amount of preserving chemical in jams and jellies will ruin the entire batch. It will reduce the shelf life of the product, and your reputation will fall in the eyes of clients. So, proper measurement of all food grade chemicals is a must. Lack of correct storage – You cannot guarantee the sale of all jam and jelly bottles as soon as they are bottled. So, inappropriate storage is another risk that you need to manage. Renting a cold storage is a must if you wish to expand your business. Competition from other brands – There is huge competition in the market. Several companies trade in the same sector. If you fail to offer something extraordinary, then clients will switch over to another brand. How to get McDonald Franchise In India?